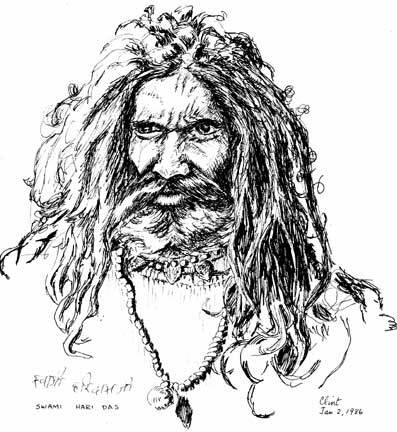 INDIA / Saddhu . . A Hindu, Swami Hari Das posed on the Ghat stairs and signed my drawing.